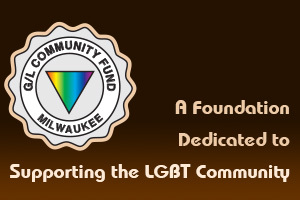 The G/L Community Fund has established one of the communities first LGBT charitable Endowment Fund within our organization to help the community in the future. The G/L Community Endowment Fund can receive gifts directly from donors who want to help launch our long term investment plans for the community. The endowment fund will generate annual gifts to the LGBT community through generating charitable gifts perpetually. All funds become the endowments principal, never to be touched, and will continue in perpetuity. It will be professionally managed and protected against cycle economic fluctuations. Only the earnings from the endowment will be used to help the community. Your generous donations ensure that the endowment will grow and keep making funds available during bad times. This is also a safe, permanent vehicle for your long term planning gifts and your commitment as a legacy donor. All donors are listed in our Legacy Society Roster as a dedicated and committed community supporter, unless you request to remain anonymous. Gifts can be made directly to the G/L Community Fund. Gifts of Real Estate, Life Insurance, Securities, Collectables, and bequest from your will should be planed through an estate planning attorney or accountant who specializes in planned giving. We ensure that your gifts receive the tax advantages of a public charity and that your gift is administered efficiently and managed prudently. Your contributions are tax deductible to the full extent permitted by law. We are a 501 C-3 organization recognized by the Internal Revenue Service. A letter will be sent to acknowledge all your gifts. If you would like to become a Legacy Donor to the Endowment Fund, please click here to download our legacy donor form.